Come along for all the activities or just come for one, or sit out one while you wait for the next one, a relaxing afternoon of entertainment and good company. Time: 12.30 Lunch special cost $10 per Senior – BBQ, Salads, fruit and hot or cold refreshments, at the 3rd Rock Cafe. General cost $$15 Adult, $8 Student. Time: 1.30pm Safe Solar viewing, including the radio telescope listening to the Sun. Time: 2.00pm Me ‘N’ Me Mate – $10 Seniors. LOVERS of the old Australian bush culture will love singing and toe-tapping along to Me ‘n’ Me Mate. 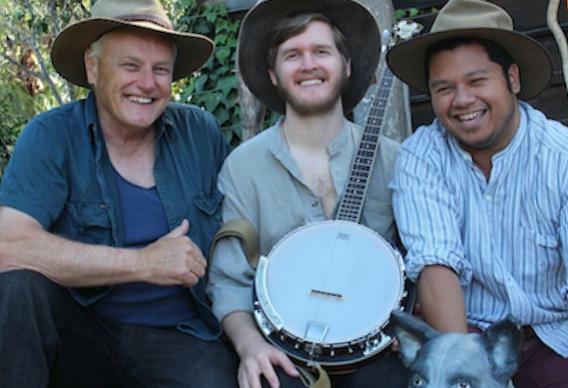 Performing favourite Australian ballads, songs and stories from such greats as Banjo Paterson and Henry Lawson, the show is jam-packed with Aussie humour and a dinky-di spirit. the 3 mates are genuinely likable as they adapt to a range of outback characters with that lovable Aussie larrikin attitude embedded in the legends of our forefathers. The music is energetic and engaging and a simple, yet effective, set creates a bush-like atmosphere in the comfort of an intimate pub setting. Audiences willingly join in with the songs, both the classics and the original. Of note were the encore calls, to which the “mates” happily oblige.